The CipherLab maximizes retail workflow and productivity with the all new 8200 Series. This highly versatile mobile computer features a lightweight, ergonomic form factor and low power consumption to help you carry out day-to-day data collection routines with unique application requirements. From data input versatility to memory capacity expansion and wireless communication. From point-of-care patient identification to record management, the 8200 Series is the perfect choice for capturing and processing important data in hospitals, pharmacies and nursing homes. 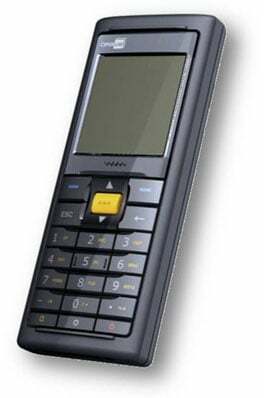 8200, Mobile Computer, Batch, Linear Imager, Bluetooth, 80211 B/G, 4MB, 24 Keys. Interface Cables And Charging Cradle Sold Separately.